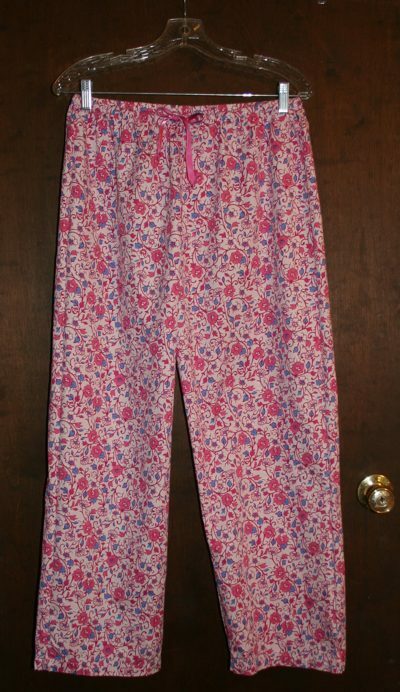 Pajama pants before . 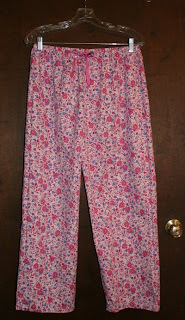 . .
﻿﻿﻿﻿﻿﻿﻿﻿I have a pair of pajama pants that don’t fit, but I love the feel of the fabric – very soft and smooth. I also have a travel pillow with no case. Well, guess what? You can make a really quick and easy travel pillow case from a pajama pants leg! 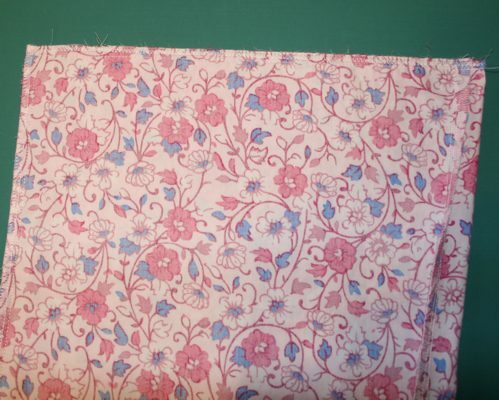 This is the perfect sewing project for even a very young child as it takes just one seam. That’s right, one seam and it’s done. How’s that for instant gratification? Before you cut, stuff the pillow inside the opening of the leg to make sure it fits. 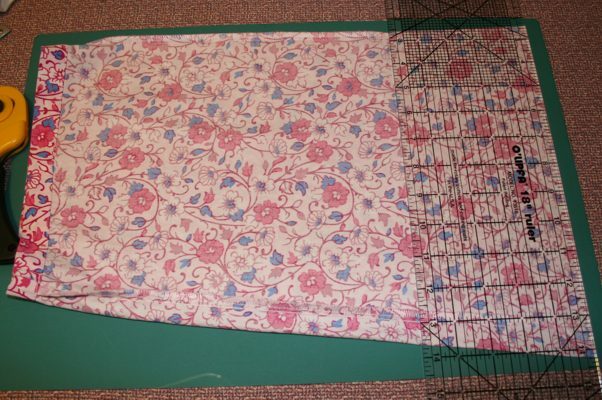 Then cut the leg off 17 inches from the hem. Sew across the cut edge. 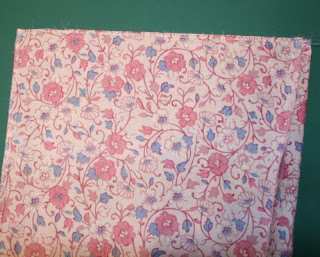 Sew a ¼ inch seam across the cut end. 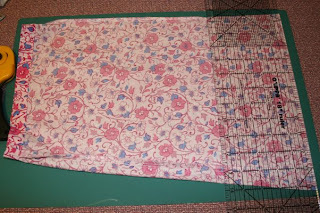 Finish the edge with a zigzag stitch or pinking shears. 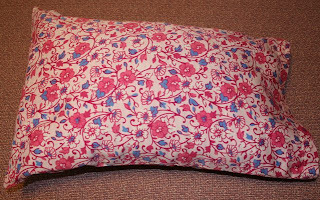 Turn the pillow case right side out and put the pillow inside. It doesn’t get much easier than that! I realize the pillow case is a little funny-shaped but I don’t care. I could have squared it up but then it would have taken more than one seam, right? And this way, the pillow can’t fall out! Now I wonder what I'll do with the other pajama leg . . .